Ah! 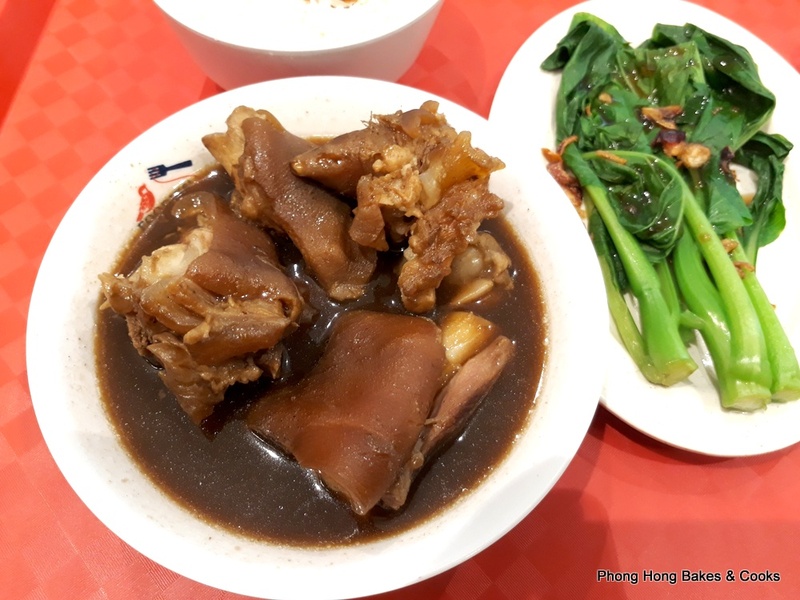 Bak Kut Teh (BKT). I love this but hardly have the chance to eat often. My favorite so far is the one at Sungai Way but I have not been there for a while. This BKT stall that I visited recently is located at A Foodie's Nest@The Starling. 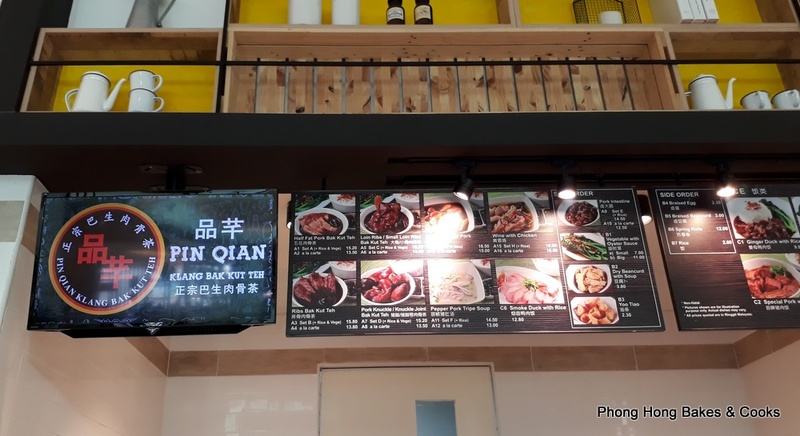 Pin Qian Klang Bak Kut Teh (it's next to Champ's). I don't know if this is famous. I have never had Klang BKT before so I won't know if the taste is authentic or not. But what I know is BKT that I like and what I like would be good to me (the Sungai Way one being my benchmark). 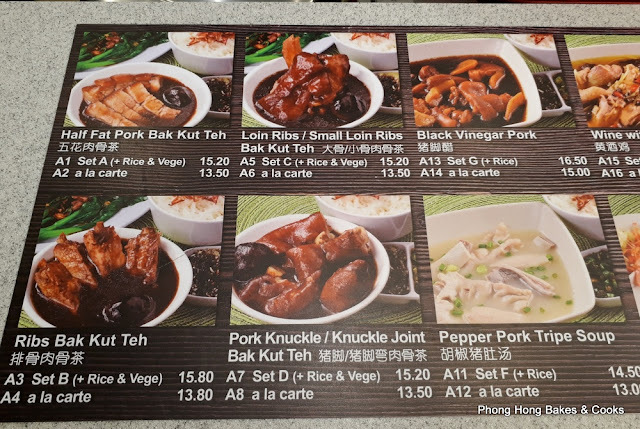 Here you have a choice of 4 cuts of meat for your BKT, the Half Fat Pork (pork belly slices), Loin Ribs/Small Loin Ribs, Ribs and Pork Knuckle/Knuckle Joint. Alas no spare parts or mixed cuts. Bah! And then you have the side orders and other dishes if BKT is not your thing. And they also have BKT with noodles (soup or dry). But I was there to satisfy my BKT craving and I prefer it with rice as I have already tried the noodle version elsewhere. Being a lover of pork knuckles, I went for the Pork Knuckle/Knuckle Joint BKT (RM15.20). 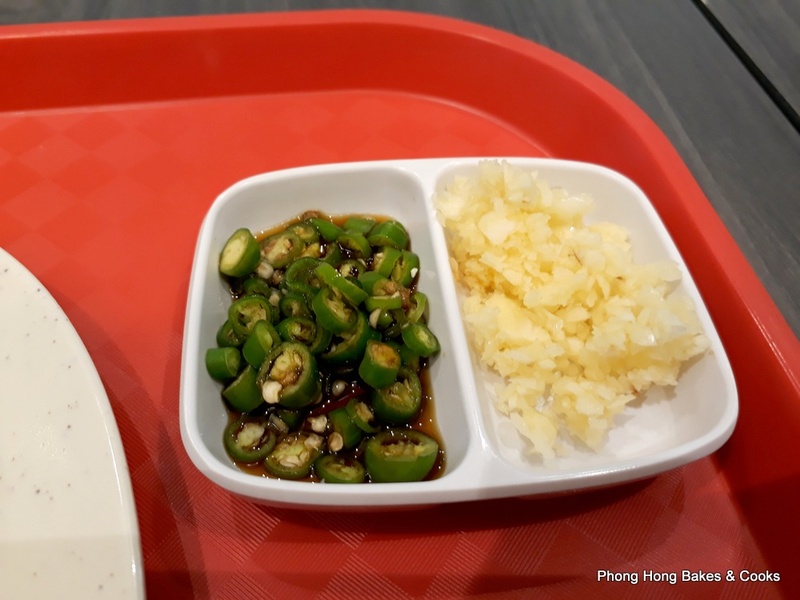 Here you can help yourself to the condiments of minced garlic, cili padi and soya sauce. The first thing I did was sip the soup. It appears to be concentrated compared to other BKT I have had before. Perhaps this is how it is for the Klang style? There was strong fragrance and aroma of herbs but the soup was sweetish, like they added sugar. That sweetness spoilt it for me. 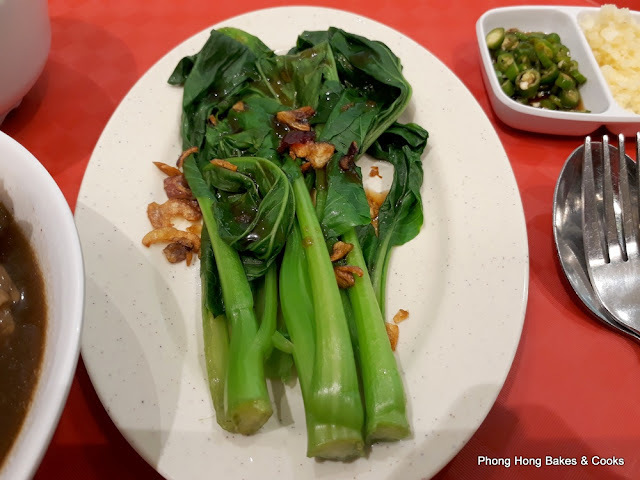 The blanched mustard greens had some sauce on it with some fried shallots. It was all right, I like having some vegetables with my meal. I must have garlic, cili padi and soya sauce. Never mind the garlic breath. 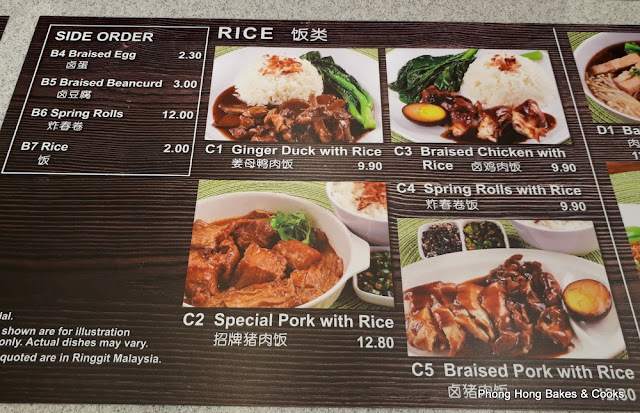 I might come back, perhaps for the other items on the menu. I love bkt too but seldom take as heaty. 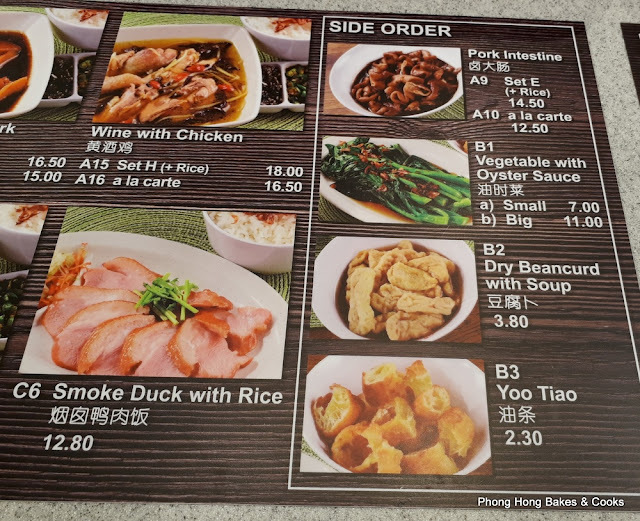 Usually order pork ribs, soft bones, and pork belly. I also like combinations like that. Indeed, good for our complexion! No, I haven't tried the white one yet. 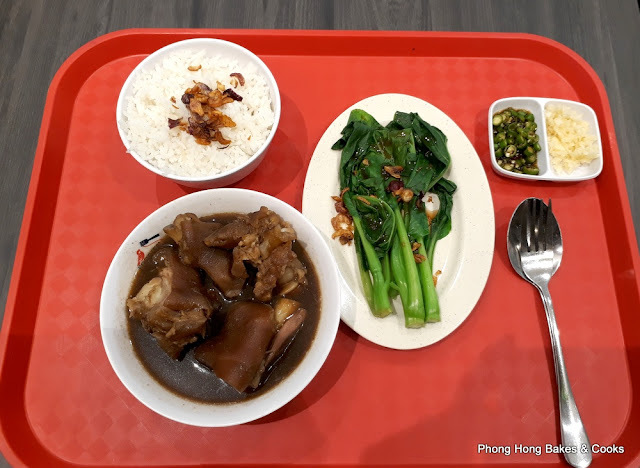 so pork knuckle joint is out as there are almost no meat on it. I am not particular on bkt soup as long as the herb taste is there and it is not too salty and not too sweet. on my own I won't order bkt. I only eat off others' bkt orders, hehehehe. The portion size here is quite small. I think you can finish lah or take half home for dinner. I was there 2-3 times and looked at their stall 2-3 times but decided to wait for you to test the food first. Serious, I really waited till now. I am glad it passed your test and I will order a bowl on my next visit this weekend. I am so bloody shocked that you had never eaten Klang's BKT which are so rich flavoured and gives you the Oomph!!! Thousands of cars would flock to the whole Klang daily just to eat BKT and they cannot be wrong lah. It is ok if you like thick strong herbal taste. I don't mind it except for the sweet taste. That Sg Way BKT joint must have been there for a very long time! I like mine with spare part LOL! If there's one thing I don't eat at all...it's pork knuckles! >_< Since you like that cut, I assume you love vinegared pork trotters then. I love it too but can't have it often enough as not many places do it with lean meat...haiz. :'( Even if they do, it's always a mixture of lean meat, pork belly and trotters and they won't always give you just the lean meat. The name of the place sounds very familiar...I think there's one in my neighbourhood which I had once only when they first opened. Never been back since as I don't really like Klang-style BKT where the soup base is too thick and too robust in herbs taste for me. I prefer lighter versions. 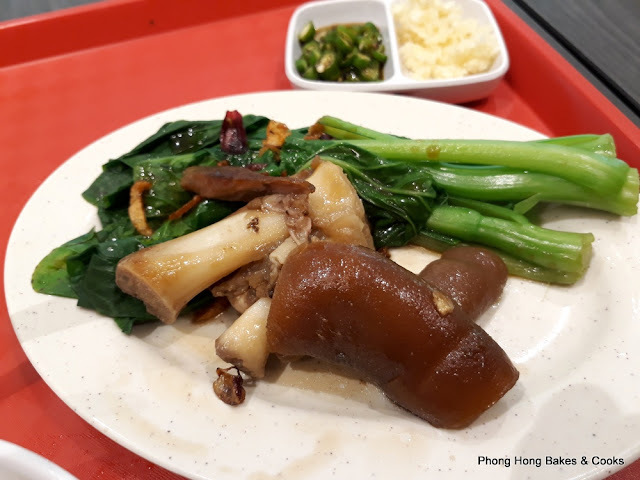 Oh yes, I love vinegared pork trotters hee...hee... Ah, so you have confirmed that Klang BKT is thick and very robust in herbs taste. I also prefer the usual lighter version. 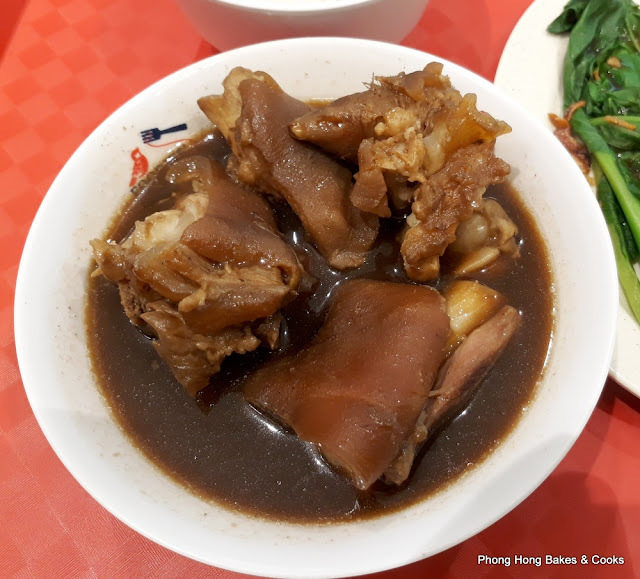 Haven't had bak kut teh for a while - there's soy sauce so that's one thing we would not go and eat when out with my girl. I don't eat it often as it is meaty and can get jelak if eat too much. I want to try the white peppery type if I can find it. I haven't eaten enough BKT to be a good judge. LOL! I haven't eaten much of it either and only from one or two outlets. I happen to like the skin and fats too hee..hee.. 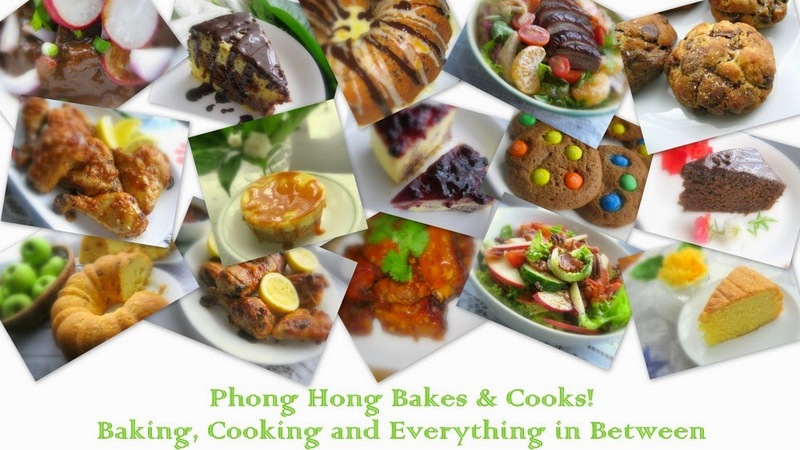 I like BKT and the area I stay is filled with a lot of choices which is quite famous of (Kepong, if you want to know, hehe :P) I prefer clearer version if compared with the darker and stronger Klang BKT. 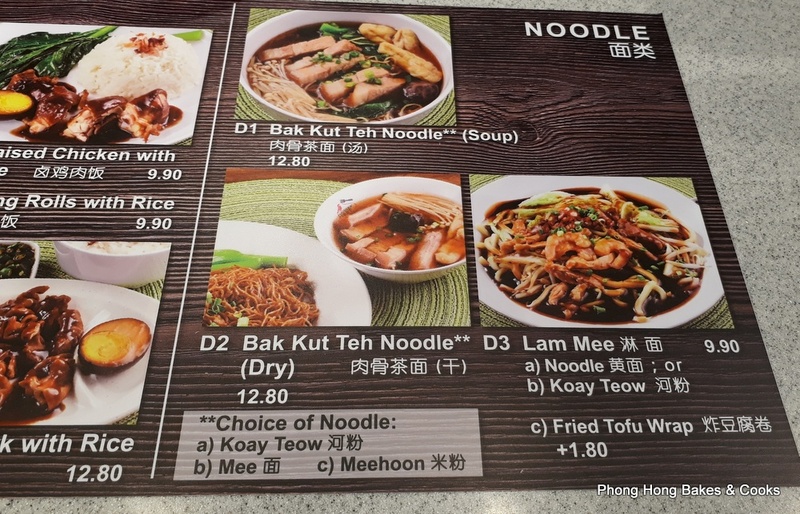 Hokkien Mee or Wat Tan Hor?